ALL THE BEST OF BRITISH ROCK IN MUST-SEE SHOW FEATURING YES. THE TOUR FEATURES ASIA WITH THE RETURN OF FOUNDING MEMBER STEVE HOWE IN A SPECIAL PERFORMANCE. 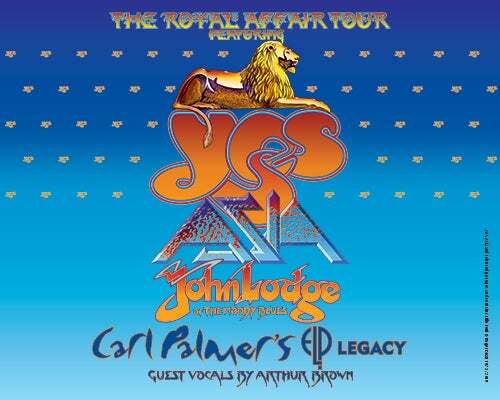 JOHN LODGE OF THE MOODY BLUES AND CARL PALMER’S ELP LEGACY WITH GUEST VOCALS BY ARTHUR BROWN.